The Step2 Company, headquartered in Streetsboro, Ohio, is the largest American manufacturer of preschool and toddler toys and the world’s largest rotational molder of plastics. Their mission is to be the leading innovator of children’s products that build imaginations and enrich the family’s celebration of childhood. 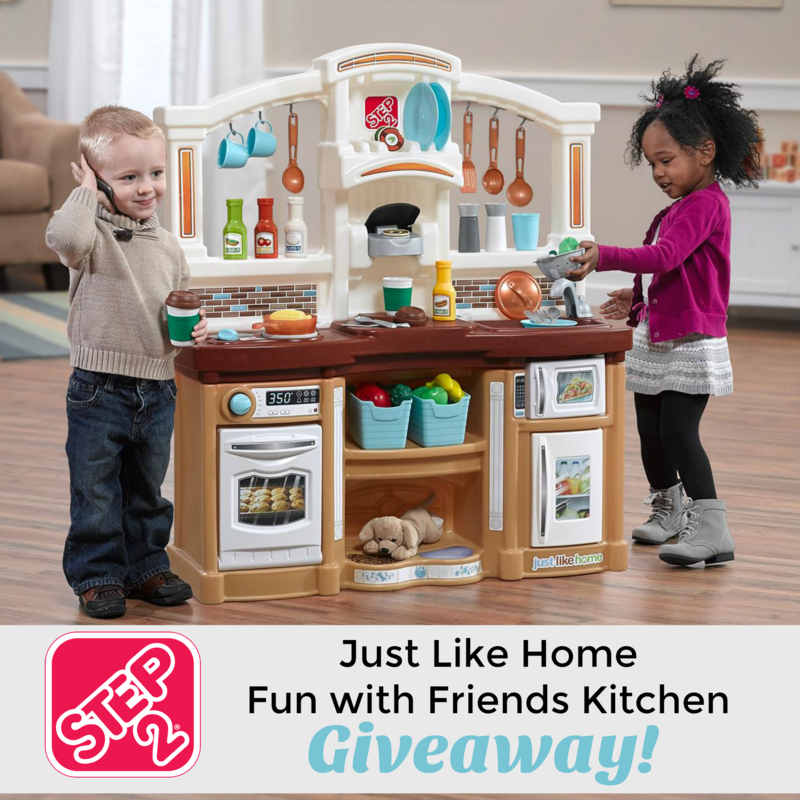 Step2 is known for their amazing kitchen sets and today I’m excited to introduce you to their brand new Just Like Home Fun with Friends Kitchen, available in tan and pink color pallets, exclusively at Toys”R”Us this fall! Disclosure: This giveaway is sponsored by the Step2 Company. Viva Veltoro, Thrifty Nifty Mommy, and the participating blogs are not responsible for prize fulfillment.One winner will be randomly selected using the Giveaway Tools random selector and notified via email. Once notified, the winner will have 48 hours to respond or a new winner will be chosen. This giveaway is in no way associated with Facebook, Twitter, Instagram, Pinterest or Google. Void where prohibited.